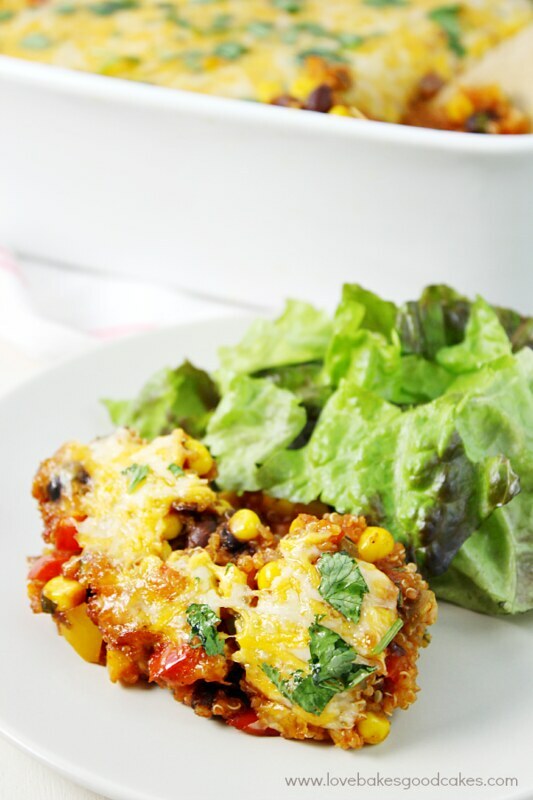 This Black Bean & Corn Enchilada Quinoa Casserole is a hearty and stick-to-your-ribs good meal! It has all of the flavors you love in traditional Mexican food, but is much healthier with the addition of quinoa and plenty of veggies! Even quinoa haters will become quinoa lovers with this casserole! 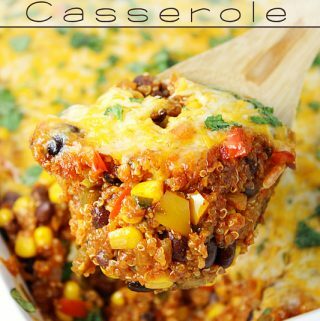 Up until I made this Black Bean & Corn Enchilada Quinoa Casserole a few months ago, my family has not been on the quinoa bandwagon. The sheer mention of quinoa in my house, would bring moans and groans. I didn’t give up though ….. we’ve tried several quinoa dishes since our very first one, but this is the one that converted my family from quinoa haters to quinoa lovers! 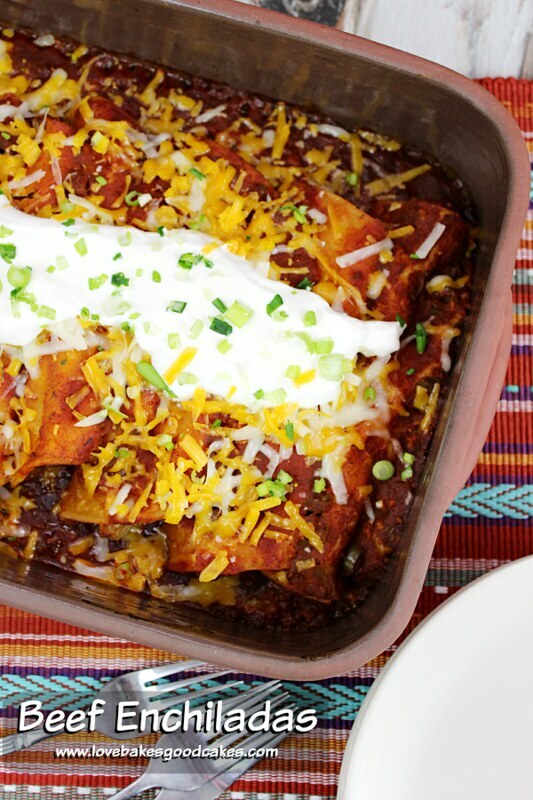 As a family who loves Mexican-inspired food, this casserole hits all of the right spots for us. 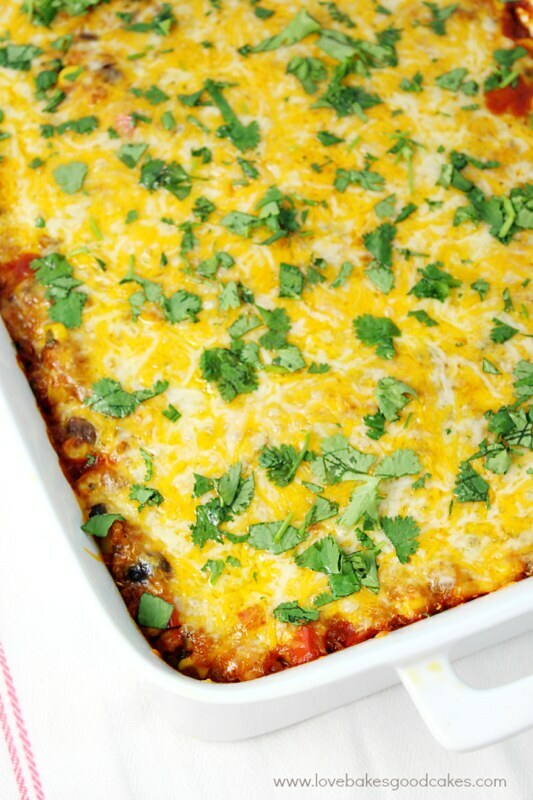 This Black Bean & Corn Enchilada Casserole is full of flavor and it’s a dish you can feel good about serving to your family! It’s pretty healthy compared to a lot of Mexican dishes! 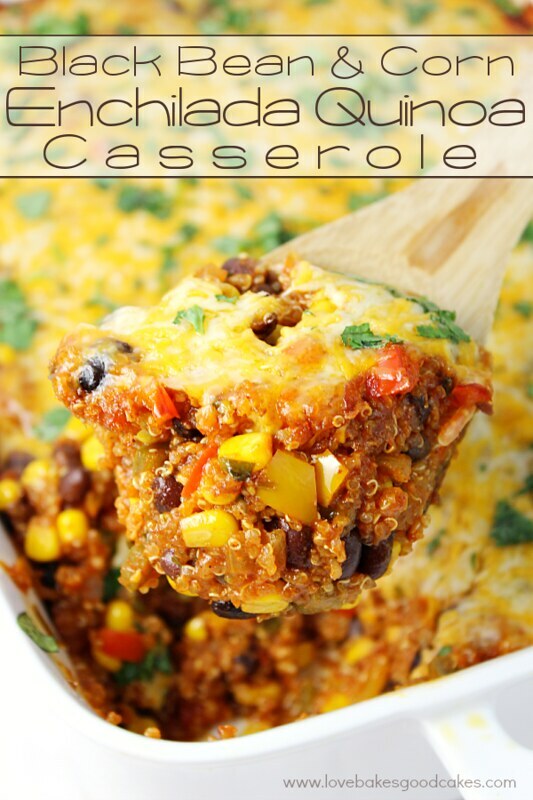 It’s full of quinoa, black beans, corn, peppers, Mexican spices, enchilada sauce and don’t forget, the cheese! Talk about serious yum factor! In a medium saucepan, bring the quinoa and water to a boil. Reduce heat to low, cover and simmer until most of the liquid has been absorbed about 15-20 minutes. Remove from the heat. Meanwhile, heat the olive oil in a large 5 Qt. Jumbo Cooker or Dutch oven over medium-high heat. Saute the onion, garlic, and jalapeno until softened. Stir in the peppers and corn. Cook for 4-5 minutes, stirring frequently. Add the lime juice, chili powder, cumin, and cilantro. Season with salt and pepper.Continue to cook and stir for an additional 1-2 minutes. Stir in the enchilada sauce, black beans, and cooked quinoa. Add ½ cup of the cheese. Stir to combine. Pour the mixture into the prepared baking dish. Top with the remaining cheese.Spray one side of foil with cooking spray and place the sprayed side down over the casserole, crimping the edges and covering the pan. Bake for 20 minutes. Remove the foil and bake for an additional 10-15 minutes or until the cheese is melted and the edges are bubbly. « Fluffy Pancakes with Nutella and Strawberry-Banana Salsa – Spread the Happy! Thanks for sharing. I could eat Mexican every day and this one looks good. I love black beans and this looks like an awesome recipe for them. Thanks you for sharing this. 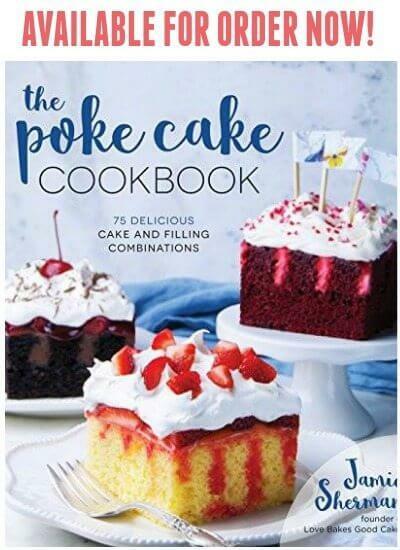 This looks delicious Jamie! Yum! Can i Replace quinoa with rice? If so would it still be 2 cups of water? 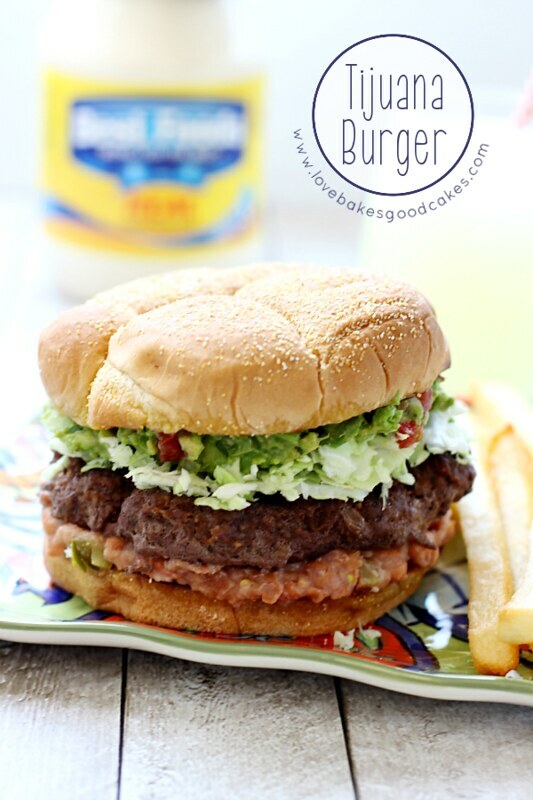 This is an awesome healthy Mexican dish!! 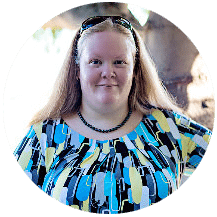 Totally pinning!! Could diced chicken be used in place of the beans and if so, any idea how much to use? Would that alter any of the other directions? This looks delicious and I really want to try it, but for my family, I'd need to try chicken.